Did you know that nearly 80% of NSW prison inmates smoke? In contrast, about 18% of the general population smokes. Smoking is increasingly being squeezed out of more and more public and private places, and prisons are next. Prison inmates will be forced to quit as of August this year, unless of course they are able to access tobacco illegally. The ban will apply to all smoking within prisons, and will therefore affect correctional officers, employees and visitors. The controversial ban was announced mid-way through 2014, and follows the lead of many other systems. Smoking in prisons has already been banned in other states and territories like Queensland and the Northern Territory. 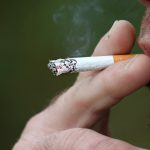 It has also been banned in other countries like New Zealand and parts of the US.Many inmates in those places actually used the opportunity to quit. But others were offended by the move and some prisons have seen a backlash. 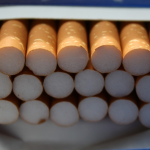 Cigarettes and tobacco are currently available to inmates, and are even used as a kind of currency. And it is not only the prisoners complaining: United Voice union, which represents many prison officers, says that the move could endanger the lives of those who already do a gruelling and difficult job. The Union argues that prisons become even more dangerous when cigarettes are banned, as addicted inmates are extremely irritable and will go to great lengths to get their fix. According to the Union, attacks on prison guards in Queensland doubled since the smoking ban was introduced there. Two Queensland prisons were reportedly locked down after protests against the smoking ban led to prisoners climbing onto the roofs of buildings. However, others have claimed the increase in violence was actually linked to the rise in prison populations – not the smoking ban. Brad Hazzard believes the change will be a positive step for all prison inmates, and stated that replacement therapies, nicotine patches and Quit programs will be available. 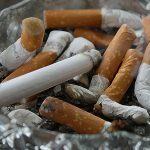 And the Cancer Council predictably supports the move, saying that one quarter of inmates already suffer from the harmful effects of smoking, such as diabetes, cardiovascular disease, diabetes and asthma, as well as a very high risk of developing cancer. It adds that the enclosed prison environment currently makes it very difficult for inmates to quit due to second-hand smoke. 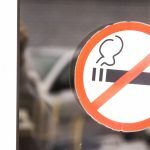 Non-smoking is not supposed to be an extra punishment, but instead, is conceptualised as a consequence of being in prison, much the same way that hospital patients cannot smoke in the hospital. 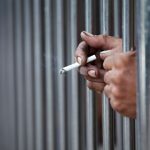 A 2009 NSW Justice Health survey found that 85% inmates indicated a desire quit smoking; many of them finding it harder to quit while in prison rather than in the community. And it is reported that many inmates have already decided to quit before the ban comes into force. In New Zealand, inmates were given a year’s notice to voluntarily quit, and Corrections chief executive Ray Smith believes the move was a positive one, noting improvements to the health of prisoners as well as a reduction in the number of fires. He also noted that prisoners had more money and contact with their family since the changes were introduced. 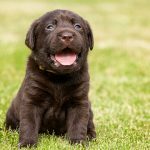 However, the situation in New Zealand briefly changed after one activist successfully challenged the ban in 2013 – which resulted in the country’s High Court ruling that it was illegal. Surprisingly, the prisoner who challenged the rules was not himself a smoker. However, the challenge proved to be a pyrrhic victory, as the court ruling did not lead to inmates being able to smoke again for long. According to the High Court decision, the Corrections Department had acted beyond its power when they put the ban in place – but in order to counteract the court decision, all the government had to do was change the legislation to validate the Corrections Department regulations. They did this within months. But not everyone outside prison supports the move to ban cigarettes in NSW. Brett Collins from Justice Action criticised it as being “fundamentally disrespectful”, and taking away what is often the single pleasure in an inmate’s life. On the other hand, the harmful effects of smoking are undeniable, and many welcome the introduction of moves that would (perhaps involuntarily) increase the long-term health of the prisoners. In the meantime, the ACT will be closely following the effects of the ban in NSW as it decides whether or not to follow in our footsteps.